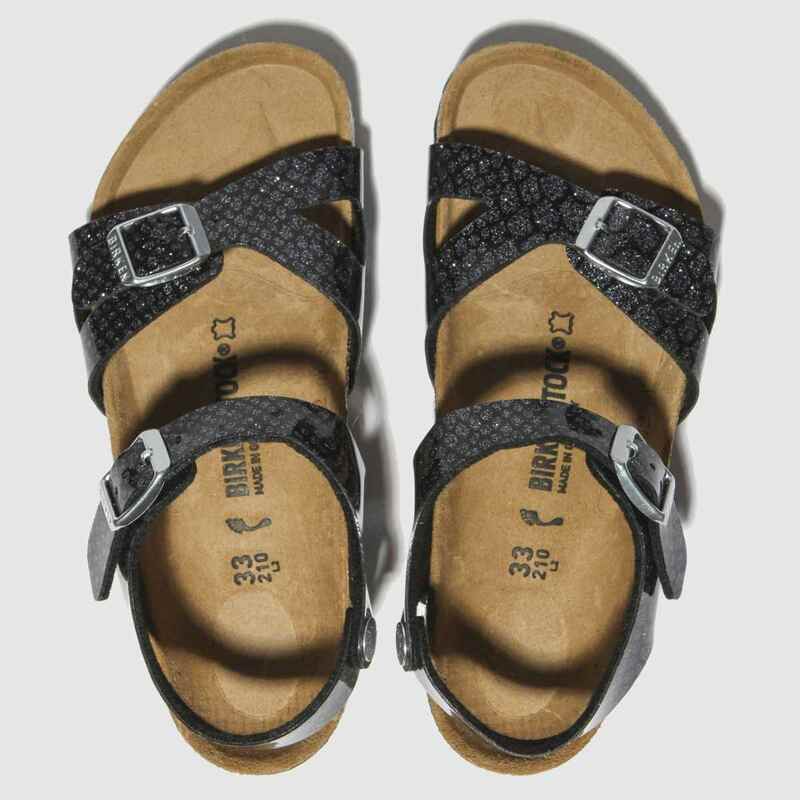 Bring some wild style to their rotation with the kids' Rio sandal from Birkenstock. 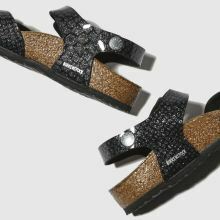 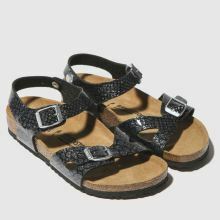 The shimmering black man-made upper boasts a snakeskin print while two adjustable straps give little one's feet a supportive fit. 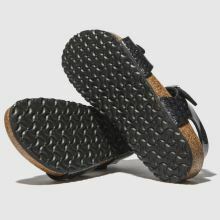 A signature EVA sole completes.